Puneeth Rajkumar said, “I was looking for a second home for privacy and to spend quality time with my family as my rigorous shoot schedules often deprive me of these “me times”. Therefore, I wanted the best furniture brand in the industry to do my private home. This is when I came across Godrej Interio’s Upload and Transform campaign. Godrej Interio, part of the trusted Godrej family, is known to be reliable and design driven for transforming home spaces. Their deliverables have always been known for class, luxury, comfort, functionality and timelessness. I was simply delighted to see the end result. after the interior team handed it over to us. The team turned my dream second home into reality”. Puneeth Rajkumar said at first he was apprehensive - will what looked good in pictures look as good for real? The brief he and wife Ashwini gave the company was that they wanted a contemporary Western aesthetic, with sober furniture. “We as a family prefer sober colours. We didn't want any part of the house to be loud or jazzy. 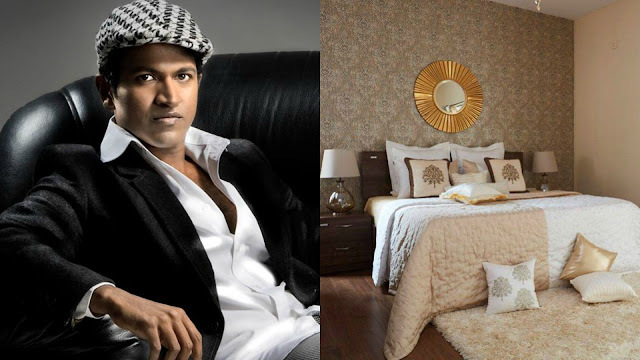 But they brought us a mix of a little bit of bling and sober colours, which worked surprisingly well,” said Puneeth Rajkumar at the launch of the new home. For their daughters, they wanted rooms with peach, mint,and pink notes. The kitchen is an all-white spacious one, while huge cream resto chairs dominate the dining area. The master bedroom is replete with creams, beiges, and silken gold tones.